Obituaries tend to be published in local papers and may well not be seen by many of our members. Where possible, this page will post the obituaries of deceased members of RALU, both for the information of members and for archival purposes. 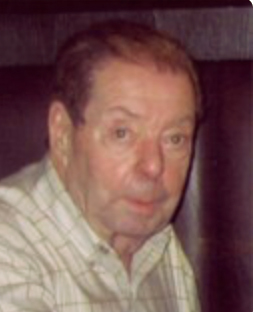 It is with great sadness and a deep sense of loss that the family announces the sudden passing of James Bruce Minore in his 73rd year. Beloved uncle to Deborah (Scott) and Kimberley (Paul) and his great nieces Kelly (Tanner), Marisa and Makena and Brother-in-law to Sandy in Ottawa. Predeceased by his parents John and Mildred and his brother Robert. 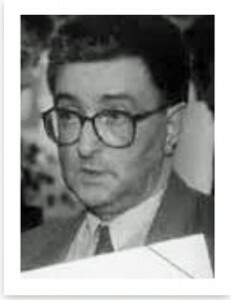 Dr. J. Bruce Minore, founding Director and Professor Emeritus of Sociology at Lakehead University was a committed researcher, teacher, and mentor who made significant and lasting contributions to rural and remote health in Northwestern Ontario, Canada, and Internationally. His commitment to improving systems and services in the north through the Centre for Rural and Northern Health Research continues to be an inspiration to those who collaborated with him. Cremation has taken place and a private family internment will follow in his home town of Hamilton, Ontario. A Celebration of Life will be held on July 11th at 2:00pm at the Avila Centre, Lakehead University. In lieu of flowers, donations to the Centre for Rural and Northern Health Research or Lakehead University would be appreciated. It is with sad hearts that we announce the passing of Dr. John Naysmith. Dr. Naysmith was a kind and gentle man who provided a few decades of service to Lakehead University, including as the Director of the School of Forestry and founding Dean of Lakehead’s Forestry department from 1988 to 1995. He taught for another 10 years after retiring and made many other contributions to the forestry industry. 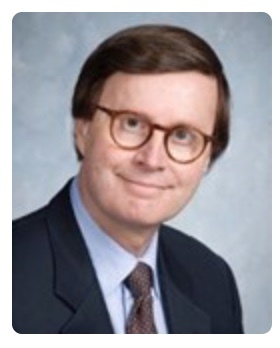 In 2011, Dr. Naysmith was named a Fellow of the University. Dr. John Naysmith was recently honoured by the creation of the Naysmith Scholar on Friday, Sept. 30, 2016. A student who has completed their third-year of an Honours Bachelor of Science in Forestry or Honours Bachelor of Environmental Management will be named annually as the Naysmith Scholar. This student must demonstrate the values and principles that Dr. Naysmith embodied: including leadership, a willingness to listen, the ability to motivate and inspire others, and more. Our sincerest condolences to John’s wife, Toie, and the Naysmith family. While this is a sad loss for Lakehead University and the Naysmith family, his legacy will live on. Dr. William Muir Graham, born in Wainwright, Alberta, June 30th, 1929, died August 3, 2017 in Kelowna, British Columbia, aged 88. He was the son of Paul and Mildred (Maxwell) Graham and the youngest of four children; his three sisters predeceased him. Bill studied biology at the University of Alberta (Edmonton), the University of British Columbia (Vancouver), and the University of London (England), and was granted his Ph.D. in 1964 at St. Andrews University in Dundee, Scotland. Bill is survived by his beloved wife of 63 years, Margaret (née Barclay) Graham. They were married in Calgary Alberta in May 1955. They lived in Canada, Kenya, England, and Scotland and in their retirement travelled widely, covering most of the world. Bill is also survived by his three children, Janice, Douglas (France Marcoux) and Karen (Rick Durand) and five beloved grandchildren: Carl, Roslyn, Ruskin, Camille (José Barrios), and Stéphanie, as well many other extended family members and friends. He was a proud and devoted family man. Bill was a biologist, specializing in entomology. At the beginning of his career, he worked as a research scientist in Kenya on the behaviour and control of stored products pests, such as beetles and moths. He later taught biology at Lakehead University in Thunder Bay, Ontario. He loved teaching – he taught us all, his children, his grandchildren, and his students. His teaching goal was to inspire questioning and individual thinking. He was committed to learning and science, worshipped knowledge and facts, and was a gifted poet, essayist, and original thinker on countless topics. 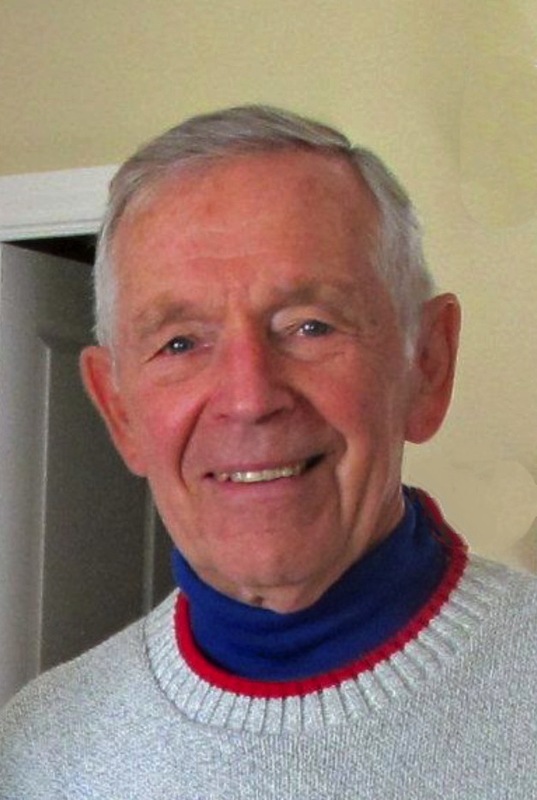 We regret to inform you of the passing of our husband, father and grandfather Gerrit (Tom) Hazenberg, Professor Emeritus, (Department of Forestry), Lakehead University. Born on November 15th, 1932 in Hoogeveen, the Netherlands, Tom died June 27th, 2017, Thunder Bay, Ont., Canada. He is survived by – Ottawa: Maryanne Hazenberg . Thunder Bay: Graydon Hazenberg and Terri Samson. Jasper: Saakje Hazenberg and Henkka Kuokkanen. Leysin: Audie Hazenberg and Serge Pfister. Wellington: Evan Hazenberg. Grandchildren: Max, Malaika and Ellie. 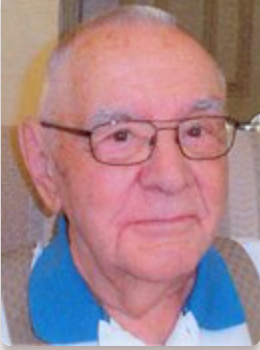 A closed casket visitation was held at Sargent Funeral Home, 21 Court St. N., Thunder Bay Tuesday, July 4th, 5-7 pm. A celebration of life was held at Trinity United Church, 30 Algoma St. N., Thunder Bay, Wednesday, July 5th, 11 am. Instead of flowers, please consider a donation to the Northern Cancer Fund at the TBRHSF, or a charity of your choice. It is with deep sadness that his family announces the passing of Mathew Stefureak, on July 1, 2017 in the Georgian Bay General Hospital, Midland, ON of complications following his strong fight against cancer. Matt is survived by his soulmate and loving wife, Beverley, by his much loved family Mark (Vicki Yaltema) of Coquitlam, BC, Nancy (Gerry Coppola) of St. Catharines, and Lesley (Rob Morano) of Sudbury, as well as his very special grandson Jacob of St. Catharines. He is also survived by sisters Mary McDonald (Frank), and Victoria Martin, brother Willis, sisters-in-law Caren Baert (Al) and Jeanette Stefureak, and numerous nieces and nephews. Matt was predeceased by his Mom and Dad, Annie and, Peter, brothers Edward and John, sister Elizabeth Preddie, and grandson Luka Stefureak-Coppola. Cremation has taken place entrusted to Le Clair Funeral Home, funeral mass was celebrated in Midland on July 5. Celebration of Life is planned in Thunder Bay for August. Matt was born in 1937 in Willingdon, Alberta and spent the formative years of his life on the prairies, first on the family farm and then in the small town of Hairy Hill. His love of Canadian prairie never waned and, on many road trips to Western Canada, one could sense his chest expanding to fill with good air as soon as we broke into Manitoba’s expansive plains. Matt left Alberta at 17 to seek adventure, and eventually ended up in Toronto, then in Ottawa dipping into the cloak and dagger in Canada’s Department of External Affairs. It was here that he crossed paths with Beverley — who recognized quality in a man when she met him and decided further work abroad could be postponed until Matt also recognized quality in a woman. Matt and Bev were married in Toronto on September 3, 1966, returning to Ottawa that autumn for Matt to continue part-time studies at Carleton. He graduated with his BA in Political Science and Diploma in Public Administration in 1968 the same year that he welcomed the birth of his son, Mark. Matt resumed working with Bell Canada for a year until presented with the opportunity for Department of Education Teacher Training in summer classes. This led to an interim contract to teach Business Education Studies at Hammarskjold High School in Port Arthur, Ontario. Matt, Bev and Mark moved to Port Arthur/Fort William in June 1969 and were soon warmly welcomed into the active social life of Hammarskjold teachers. This is where Matt made lifelong friends in the profession and from where he always had the very best memories of the “Hammarskjold gang”. Matt’s family continued to grow with the arrival of Nancy in ’69 and Lesley in ‘73. He moved to Churchill as Head of Business and later to Hillcrest in the same post. Matt continued studies during these years and was awarded Masters of Education by Lakehead in 1986. His thirst for adventure, however, was never quite quenched. In 1986/87 Matt took his first of several “three over four” leaves to travel Europe with his family in a VW camper van and small tent for six months. For the wonderful family memories and the invaluable lessons learned about other countries and cultures, Bev and each of his children thanked him many times. In 1991/92, he accepted a six-month post at the Canadian Overseas College in Singapore, followed by a two week visit to Eastern Australia and a second six-month camping tour of Europe and North Africa. In 1994/95, he returned to Singapore as Principal of the Canadian International School, and in 1997/98 he was off to Guangzhou, China to head the first OAC Ontario Program in Huamei International School. Retiring in 1998 Matt enjoyed twenty years of active life, in Toronto, St. Catharines, Thunder Bay and finally in Midland. Matt and Bev continued to travel, visiting England, Norway, Ireland, France, Egypt, Sri Lanka, Western Australia & Tasmania, Ecuador, Bali, Indonesia, Malaysia, Hong Kong, India, and wintering in southern Mexico for fourteen years. They were scheduled to depart June 21 for Panama City to transit the Panama Canal when Matt became ill. When he wasn’t abroad, Matt was busy on his acreage in Thunder Bay, enjoying a round with his golf buddies, a game with the Go-Slow curlers or following each second of Montreal Canadiens action. In 2015, Matt and Bev decided to move closer to family in Eastern Ontario and relocated to Midland, where he quickly developed a new group of golf buddies. Throughout their life together, Matt and Bev were mutually supportive of each other’s dreams and he will be greatly missed as a partner. The love and respect Matt has earned from his children and grandchild is a testament to the love and support that he unfailingly provided to his family and he will be greatly missed as a father and a Grandad. “You can always tell where a beautiful soul has been by the tears and the smiles left behind.” There are many, many tears and there will be many, many smiles as the wonderful memories crowd out the deep sadness. In lieu of flowers, should anyone wish, donations may be made to the Royal Victoria Hospital Foundation in Barrie, Ontario, directed to the Cancer Centre. 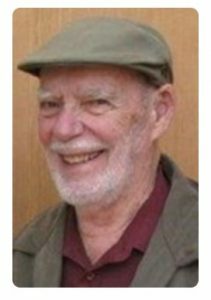 William Preston Eames passed away peacefully in his sleep on March 7th, 2017, at the age of 87, surrounded by family. Bill was reunited after six years with his beloved wife Jane. Ever kind and gentle, Bill guided us, often without words, in the virtues of humility and humour. He rarely spoke of himself except in glimpses. So we will speak for him. Bill was born in Minnedosa, Manitoba, on September 21st, 1929, the only child who survived, to Ada Croley and George Eames. Ada was a piano teacher, organist for the local United Church and the President of the Manitoba Music Teachers Association. George was an employee of CP railway. Although Bill never played an instrument he was brought up in a house of music and had a lifelong love of classical music and opera. During the Depression, Bill’s parents took in and fed many hungry and unemployed men. This interaction with others instilled in Bill an understanding that people who struggle or face hardship do not do so out of choice and that everyone has a story to tell. The first in his family to go to university and funding himself completely on scholarships, Bill went to Brandon College for chemistry and mathematics. Here he made lifelong friendships, was the class valedictorian and was recognized with many gold medals. He found he loved the simplicity and creativity of mathematics and went on to University of Manitoba and subsequently to Queens, where he completed his PhD in calculus at the age of 24. He (and friends) also blew off the back wall of Grant Hall the week before graduation in a beer experiment that went wrong. As part of the first group of international NSERC scholars, Bill moved to London to complete his postdoctoral work at Kings College, University of London. Bill loved the city, the theatre, his Austin Healey, and his pottery teacher, Jane Coles. They married and lived in Blackheath, having two children, Gillian and Madeleine. In 1966 they moved back to Canada settling in Thunder Bay (Port Arthur), Ontario. Jane, having lived in England her whole life, loved the expanse of the land and the rocky shores of Lake Superior. It was here that Tamsin and David were born. Bill was Chair of the math department at Lakehead University for many years where he had good friends and colleagues. He inspired many young people with his love of mathematics and creative ways of teaching. In 1977 Bill and Jane opened Aardvark Pottery, their functional earthenware ceramics studio. It was a house filled with musicians, potters, art, books, photography and sculpture. The family spent many summers camping across Canada, east and west, in a canvas Woods tent, rain or shine, although Bill would have preferred the occasional hotel. After his retirement in 1993, Bill and Jane travelled extensively, doing pottery workshops and travelling to Mexico. Bill took a position teaching in Gifu, Japan, for six months where he is remembered for having donned a red curly wig and presented himself as Anne of Green Gables. After Jane’s death in 2010, Bill lost his enthusiasm for all their shared interests. He moved to Salmon Arm, BC where he lived out his last years. Bill will always be remembered for his humour, his unlimited generosity and kindness and his quiet determination. He loved his grandchildren and we are lucky they were able to know him and will cherish the memories forever. They will always have their own stories about their “Grumps” or “Dada”. He will be lovingly remembered by his children, his many grandchildren, extended family in England and friends both near and far. A wonderful man and friend of many “went into that good night” on March 5, 2017 at St Joe’s Hospice. Don was born in Cadillac, Quebec, on Dec 27, 1941. Predeceased by his parents Ray and Marguerite MacLean, father and mother-in-law Dunlop and Audrey Wilson, and nephew Darryl Wilson. He is survived by Margaret his wife, soul mate and best friend of 51 wonderful years. He will be lovingly remembered by his in-laws, nieces and nephews: Ron and Jean Wilson (Patricia Hargreaves, Mark and Monica), Murray and Lynne Wilson (Patrick and Tracey, Keri and Billy Willan, Jeff), Robert and Carolyn Wilson ( Laura, Erin), Darlene and Don Seaver (Apryl Krienke, Lee Krienke), Luann and Ron Sainsbury (Drew), Sheila and Brad Arding and many Sevigny relatives in Quebec. Don gathered friends wherever he went. He was a gentleman – a kind, humble and hardworking man of great integrity. He had a heart of gold; he was wrapped in abundant love by both family and friends. Don was Project Supervisor for the MTO building roads and bridges throughout Northwestern Ontario. He worked at the Toronto office in Downsview for two years while Margaret attended U of T and ended his career at the Thunder Bay office. After taking a Teaching Techniques course at George Brown College Don taught courses to MTO staff and was a Sessional Lecturer of computer science at Lakehead University for a number of years. Don had a love for music, especially Country Western music. He loved playing guitar and writing songs. He and Brian Merritt played the bars in Thunder Bay and Northwestern Ontario. While working in Kenora he wrote “Beckett’s Village Inn” – the words displayed over the bar for many years until the hotel passed ownership. While at Lakeview High, Don was privileged to work the lights for Johnny Cash who remained his idol for the rest of his life. Don was a master builder for Cambrian Players building sets for the productions that Margaret was directing or acting in. Over the years they attended many theatre and music productions; Vegas being their favourite venue to enjoy world-renowned entertainers. Don retired from the MTO in 1994 leaving time to travel throughout the world and adding many friends met during driving holidays, tours, and cruises. His bucket list was completed and he and Margaret returned to many of these favourite spots many times over. Beatti Sub Divo Morati – Blessed are those who dwell under the stars. 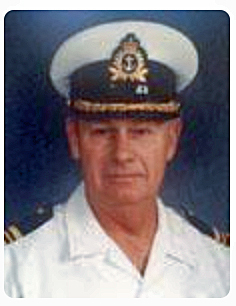 Dr. Lisle A. Thomson (SBStJ, CD, PhD, MScREC, DPE, LT/CMDR (Ret. ), Professor Emeritus) passed away peacefully at Thunder Bay Regional Health Sciences Centre following a brief illness. Automobiles, Leisure, Leadership, and Community were the four corners that framed the picture of Dr. Thomson’s life adventures. His passion for the outdoors (dwelling under the stars) drove his professional achievements, from leading several fitness and recreation initiatives in his early years, to completing the world’s first PhD in Recreation Leadership, to founding Lakehead University’s Honours Bachelor of Outdoor Recreation Program (HBOR) in 1977, (another world’s first), and leaving the University as a Professor Emeritus in 1996. His call to service manifested in his twenties as he achieved the rank of Lieutenant in the Royal Australian Naval Reserves. Lt. Cdr. Thomson retired for the Royal Canadian Naval Reserve in 1991, having served as the Ontario Lieutenant Governor’s Aide de Comp during his time of service. Most recently, he split his time between his native Australia and Canada, spending his days Downunder with family and friends, and his days in The Great White North as a very active and entertaining member of the Thunder Bay Vintage Sports Car Club. Dad/Grandad is survived by his 3 children – Brennan (Lori) (Canada), Charmian (Jeff) (Australia), and James (Audrey) (Australia), and 7 grandchildren – Bennett & Sydney Thomson, Olivia & Julianne Crawford, and Liam, Briar & Andrew Thomson. Known and loved by all for his quick wit, clever puns, funny faces and sometimes ‘corny’ jokes, Lisle’s most impressive gift to the universe was his knowledge. If you were in his presence, it was likely you came away from the experience learning something about something, whether you wanted to or not. “Brilliant”, “Entertaining”, “Unique” – these are the words that best described Dr. Lisle A. Thomson. Now at his passing, we add “Deeply Missed”. A private internment will take place in Australia. David Lewis, Department of Languages, 1968-1975. 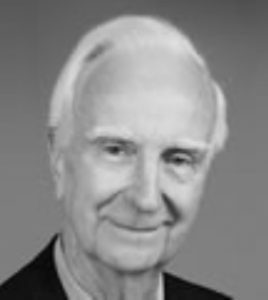 David Lewis, professor and diplomat, died May 15, 2015, aged 83. If Europe’s identity is that of the old world looking to the future, then David Wilfrid Paul Lewis was definitely a dedicated European. His great passions were those of the continent’s high culture: oil painting, classical music and poetry. Yet Lewis was also a moral witness to Europe’s rebuilding. Experiencing World War II at a young age, Lewis knew that European integration was primarily a means to avoid another war in Europe. Thus, according to him, the European Union was one of the “greatest historical achievements of the 20th century”. This said, Lewis was no idealist. To some degree, he foresaw the reawakening of nationalism that currently threatens Europe. He also cared deeply about the preservation of national cultures, and the inherent dangers of total federalism. Lewis participated in the European project directly and indirectly. After obtaining a B.A. Honours in French and German at The Queen’s College, University of Oxford, Lewis studied at the College of Europe, in Bruges – his class was named after Raoul Dautry, a French engineer and politician from the South of France. The College was a recent creation, founded in 1949 by the likes of Churchill and De Gasperi, along with pro-European Capuchin friars, to “promote a spirit of solidarity and mutual understanding between all the nations of Western Europe and to provide elite training to individuals who will uphold these values”. While at the College, Lewis was elected President of the Students and became friends with the Rector, Professor Hendrik Brugmans. It is here that Lewis converted from his father’s Methodism to the Roman Catholic faith and took the baptismal name of Paul. From 1958 to 1968, Lewis worked as a diplomat at the Council of Europe in Strasbourg, France. He became an expert on issues that affected all of Europe: adult education, study abroad programs, and environmental protection. In addition to creating and managing international cooperation programs, Lewis sought to educate and inform the European public about the Council’s work. He took on lecturing assignments, drafted publication materials, and helped create a European Information Centre for Nature Conservation. While Chair of the then Department of Modern and Foreign Languages at Lehigh University in Pennsylvania, and Director of the Lehigh Center for International Studies, Lewis wrote a book entitled “The Road to Europe”. It covered the European Union’s history, institutions and prospects. A the monograph’s two main topics were the consequences of integration for Eastern Europe and the United States – Lewis would continue to think about these issues for the rest of his career. This book, along with Lewis’ social ties to the College of Europe, brought him an offer to become the Vice-Rector and head of the College’s new campus in Warsaw. Lewis accepted the offer, and postponed his retirement to the South of France. From 1994 to 1996, Lewis helped create and run this new institution, dedicated to forming a new generation of Europeans. At the end of the Cold War, many Eastern European states were eager to become members of the European Union, and the College was there to train those who aspired to work for the European Commission, Council and Parliament. After Lewis finally retired to Provence, to paint, travel and spend time with his wife and son, he published his final work. The 1999 co-edited conference proceedings entitled What Security for which Europe? : Case Studies from the Baltic to the Black Sea discussed the impact of European Union expansion on European security. Recent events in Ukraine have given this collaborative work renewed relevance. Lewis’ conservative sartorial tastes were quite similar to his father’s and grandfather’s: suit, suspenders, cotton handkerchief. In a way, they provided a stark contrast to his cosmopolitan life-style. It could be said that Lewis enjoyed the benefits that globalization offers the higher social classes. At the end of his life, almost half of which he spent in France, Lewis held British, Canadian and American citizenships. In addition to his time in Strasbourg, Bethlehem, and Warsaw, he also worked in London, Montreal, and Thunder Bay. In his last position, as Vice-Rector of the College of Europe, Lewis’ responsibilities included travelling to Europe’s capitals to solicit grants from governments. Yet, he rarely let these responsibilities go to his head. For example, Lewis loved to tell the story of Queen Elisabeth II, who upon visiting the Warsaw campus showed more interest in the kilt-wearing gardener than in him, the normal suit-wearing head of campus. In fact, Lewis’ early education had already led him to distant lands. He was born in Clacton-on-Sea, Essex, on January 24th, 1932, the second of three children. While in grammar school, the young David studied French near Paris, where he became lifelong friends with his pen pal’s brother, Michel Roche, who would later work for Mack Trucks. As an Oxford undergraduate, Lewis practiced his language skills at universities in Poitiers and Munich. In addition to a B.A. (1953) and an M.A (1968) from Oxford, Lewis obtained a diploma (1950) and a doctorate (1973) from La Sorbonne, in Paris. His doctoral thesis on Paul Verlaine’s poetry received the jury’s highest honours. It might be these experiences that led Lewis to be a lifelong advocate of education, especial study abroad. In addition to university teaching, Lewis loved to teach chess, both to his children and to other children – as a teenager, David was the school chess captain, and at Oxford he was on the university chess team. During retirement, he continued this practice by teaching young French children at the town hall. Similarly, no matter where Lewis went, be it Strasbourg, Thunder Bay, Bethlehem or Warsaw, he created overseas programs and encouraged students to take advantage of these opportunities. He sent Lakehead students to Mexico, Lehigh students to Paris and Poitiers, College of Europe students to the Balkans. Overall, Lewis had a rare ability to relate to the young, many of whom admired his intellect (at Lehigh, he was president of Phi Beta Kappa) and celebrated his accomplishments as an educator. Students from everywhere confided in him and kept in contact after graduation. Towards the end of his life, the French Ministry of Culture admitted him to the honorific order of the Palmes académiques. Lewis also encouraged his children to travel – he once visited Uganda, where his daughter drove him 2000 kilometres to see the country’s beauty. When his youngest son asked to spend a semester in Cairo, Lewis’ passion for foreign studies outweighed his concerns, and he gave his blessing. Today, his children have continued this pastime. Within a recomposed family, David had 14 grandchildren — in Canada, the United States, England, France and New Zealand — who all loved to visit and play ‘boules’ with him. Lewis met his first wife, Felicity on a ferry in the English Channel, and they had four children. Nicholas, Rosamund and Lydia-Maria were born in France, while the cadet, Diana, was born in Canada. While in Canada, Lewis met his second wife, Avril, on a television set where the two were producing French-language programs. Avril also had four children, William, Jonathon, Emma (all born in the England) and Matthew (born in Canada), and later gave birth to David’s youngest child, Olivier (born in the United States). While working in Warsaw, Lewis returned regularly to the south of France to visit Avril and Olivier. During one of these visits, he was diagnosed with Parkinson’s disease, later thought more likely to be Lewy body dementia. For a man of such intellect, this was tragic news. By 2003, Lewis was losing his ability to paint. His shaking hands could no longer produce the talent that once allowed him to sell his watercolours, oils and acrylics. Still, with his customary sense of humour, he described this as his ‘pointillist’ period. Most of his paintings are no longer in his house – he has long since given them to friends and family. From Vancouver to Wellington, pictures of English gardens, French villages and Maine harbours hang on living-room walls, reminding loved ones not only that he cared about them, but why he thought life is worth living: for beauty, nature and culture. By 2010, Lewis had gradually lost his ability to finish a sentence. As a once great linguist, conversationalist and speaker, not being able to communicate was especially distressing. At grammar school he received perfect marks in Latin and French and won a declamation trophy. At Oxford he was an officer in the university’s French club. Occasionally, Lewis would write poetry for family members. As a professor, he designed and gave French courses on 17th century literature and French for business and international careers. In social gatherings, be they weddings, cocktail parties or dinners, Lewis would enjoy being the centre of attention. From Bruges to Avignon, he could be found holding a glass of wine, telling stories and showing off his wit. When he met children, he would kneel down to share scary faces, funny sounds and bad jokes. Throughout his life, he partook in dramatic productions, often playing the role of a monster or a villain, and for the guests at his wife’s gîte, he had become a main attraction. Ever spiritual, David did not hesitate to be contrary. For his funeral, he instructed his family that there were to be “no speeches”, only private reflection and Haydn’s Cello Concerto in D by Jacqueline Dupré. During his last years, Lewis also lost his ability to listen to music attentively. This must have upset him, for he spent his entire life listening to classical music. In fact, he loved classical music so much, that he took on pro-bono responsibilities. 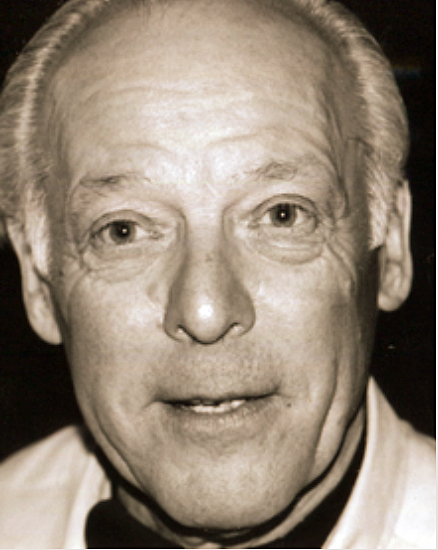 From 1970 to 1975, he was a member of the Board of Directors of the Thunder Bay Symphony Orchestra Association; from 1971 to 1973, he was on the Board of the Ontario Federation of Symphony Orchestras; and from 1974 to 1976, he was a member of the Board of Directors of the Canadian Association of Symphony Orchestras. Finally, by 2015, David could no longer walk. His remaining pleasures were enjoying good meals and the loving care of his wife, who took care of his every need as his condition slowly worsened. It could be said that nothing ever stopped him from enjoying the world’s best foods. Even in his handicapped state, Lewis could distinguish fine goods from the bad. When Avril handed him a plate of appetizers, he would eat the fois gras and salmon, and leave the rest. While in Strasbourg, Lewis would, in classic French style, take long lunch breaks with friends and eat white asparagus by the kilo, accompanied with Gewürztraminer. In fact, even a world war could not stop Lewis’ gastronomic pleasures. From 1940 to 1954, many foods were rationed in England. So while David’s elder brother, Brian, and sister, Audrey, ate their daily butter ration as soon as possible, David saved a week’s worth of butter, and waited for Sunday to enjoy it all in one glorious toast-and-butter feast. Hegel once wrote: “no man can surpass his own time, for the spirit of his time is also his own spirit”. It seems that Lewis understood this reasoning. On November 3, 1993, The Brown and White, Lehigh University’s student-run newspaper published a review of the recent manuscript, The Road to Europe. When student reporter John Kish IV interviewed Lewis about the writing process, the professional educator and amateur poet answered: “the book was written with feeling because it mirrors my life”.